Gnome desktop is being accepted again by Ubuntu community after the announcement of Unity-8 is going to be buried. I am not going to talk about this new again since we already did and this post is about theme. 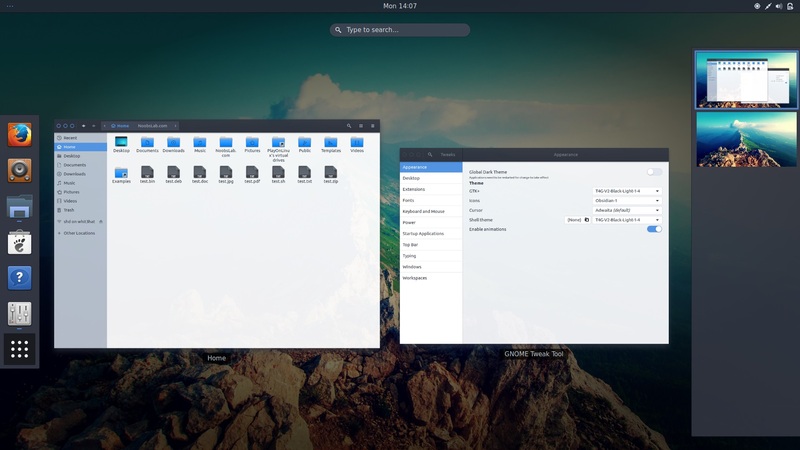 T4G-V2 theme is created by a guy from gnome-look named "paulxfce", this theme is heavily modified version of popular Arc theme but with transparency items. This theme is specifically targeting Gnome desktop and do not expect it to work on other desktops, if you are using Gnome 3.20 and up versions then you are lucky to have it on your desktop. It offers bigger header-bars, window-frameless, transparent elements (all gnome-3 window backgrounds have transparency), graphical elements redone (new option/check-buttons; switch-buttons), added shadows beneath the header-bars. 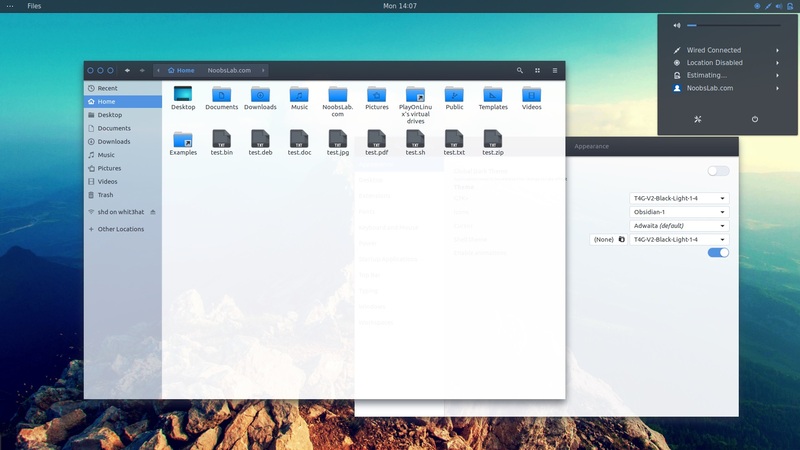 It is available in three variants for GTK, as well as for Gnome Shell, you can choose whatever you feel is fit for your desktop; Black-Dark: The black-colored windows with dark sidebar in the file-manager, Black-Light: The black-colored windows with light sidebar in the file-manager, Blue-Light: The dark-blue colored windows with light sidebar in the file-manager. Since this theme is in active development if you encounter any issues with the latest version of the theme then report it to developer and hopefully it will get fixed in the next update If you are using other distribution you can directly download theme from its page and install it manually. Obsidian icons used in the following screenshots. 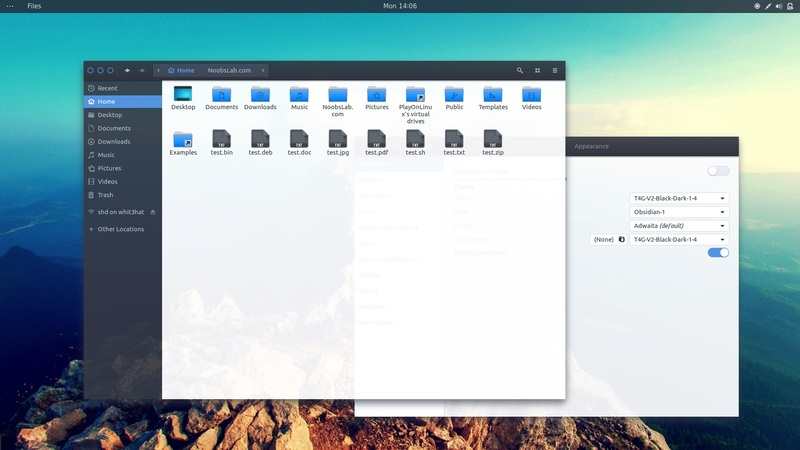 You can use Gnome-tweak-tool to change themes/icons. What do you say about this theme?